Designed specifically for Sylvester Stallone, this is a machete as tough as Rambo. 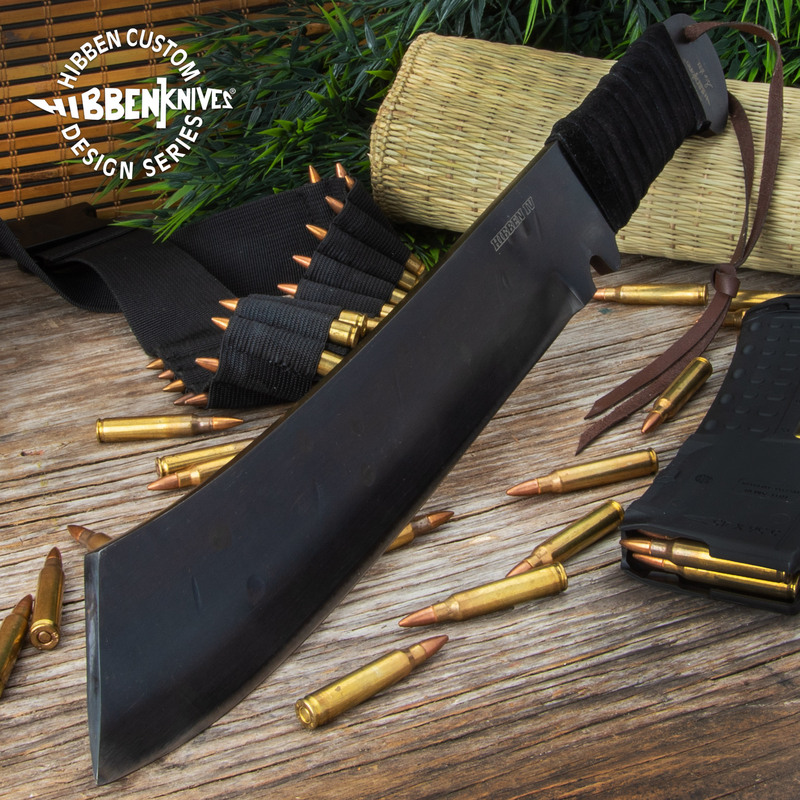 You just can't go wrong with a Gil Hibben knife. 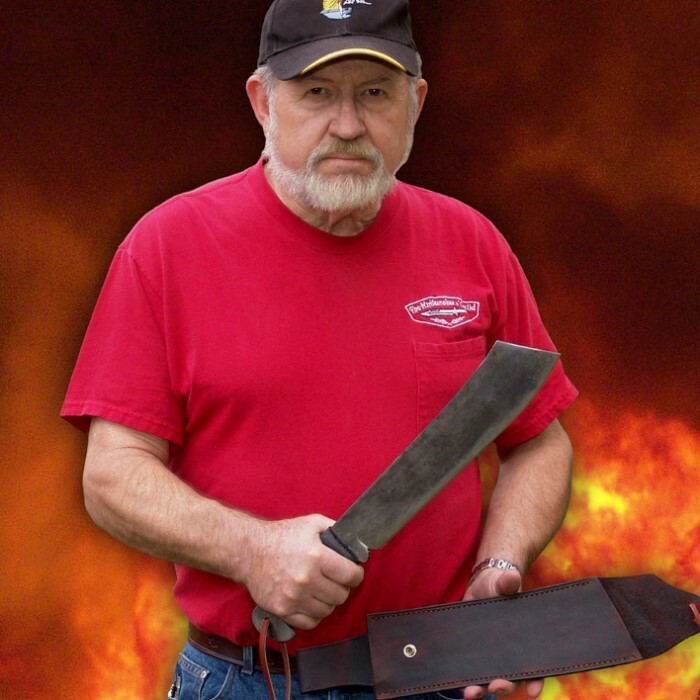 He crafted it out of a solid piece of 1090 carbon steel that was heat-forged. The blade has a weathered finish and the handle is cord-wrapped. A genuine leather sheath and lanyard completes the package. "Solid and Hefty, But no edge"